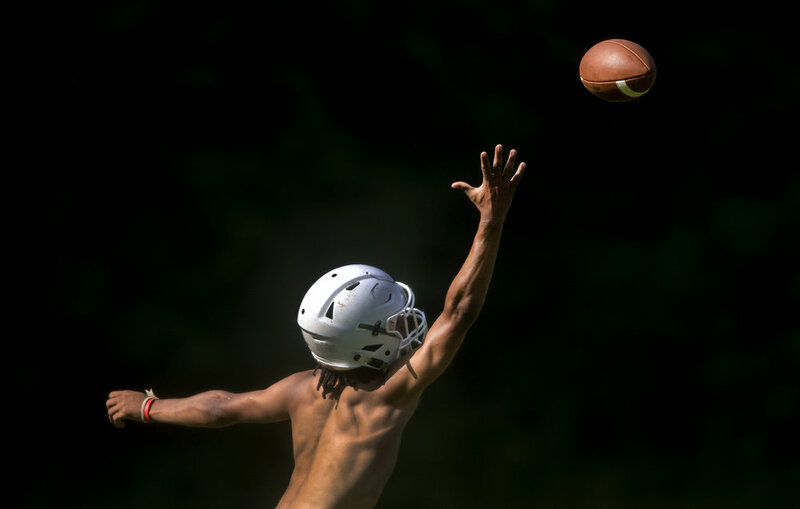 Riverside’s LeMarcus Cleckley reaches to catch the ball during a summer practice on Wednesday, July 11, 2018, at Riverside High School. 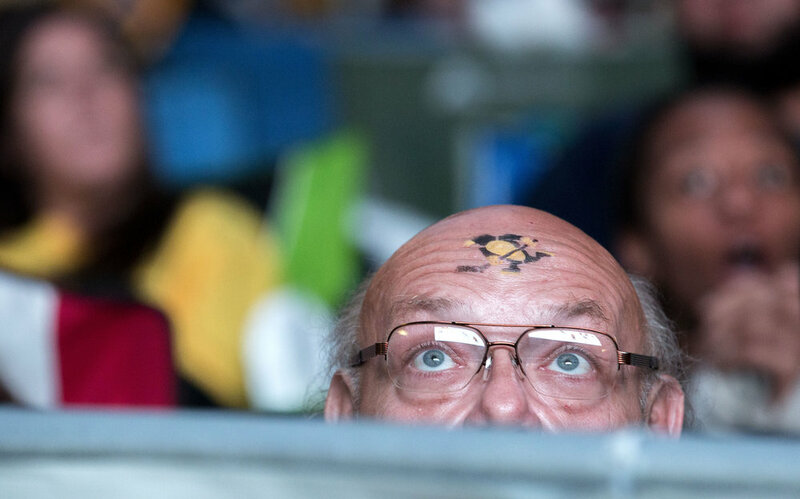 Tyrone Sub, of Sarver, looks up towards the big screen during a watch party on Thursday, June 8, 2017, during Game 5 of the Stanley Cup Finals at PPG Paints Arena in Pittsburgh. 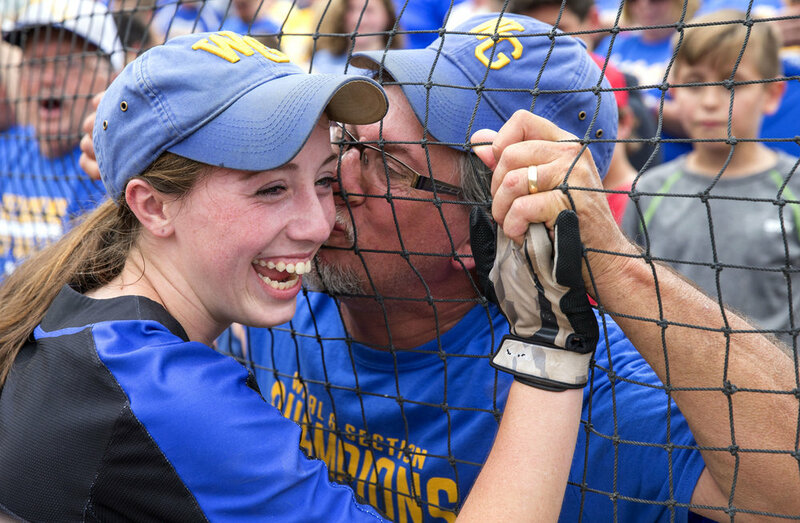 John Lampe, of West Greene, kisses his daughters cheek, Madison Lampe (4), after her team came back to win the state championship at Beard Field on Friday, June 16, 2017. West Greene was down 7-0 in the 2nd inning but rallied together to defeat Williams Valley 9-8. 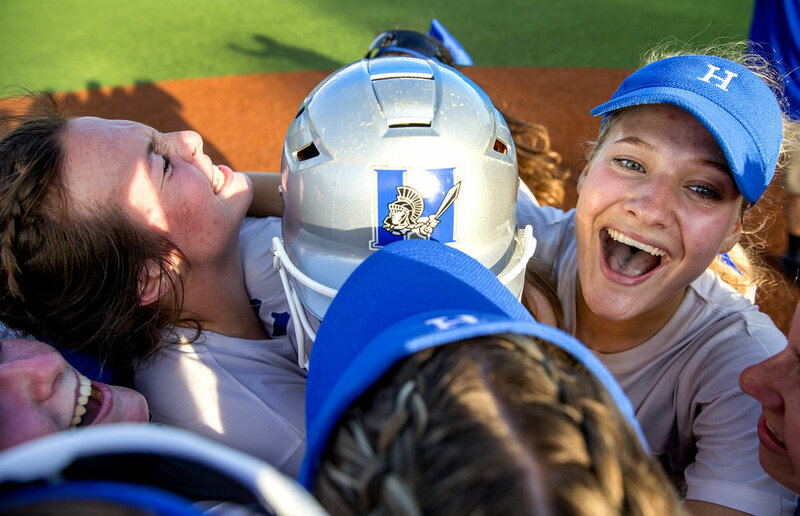 The Mount Pleasant softball team celebrates after winning the 2017 PIAA 4A softball championship at Beard Field on Thursday, June 15, 2017. Mount Pleasant defeated Tunkhannock High School 5-3. 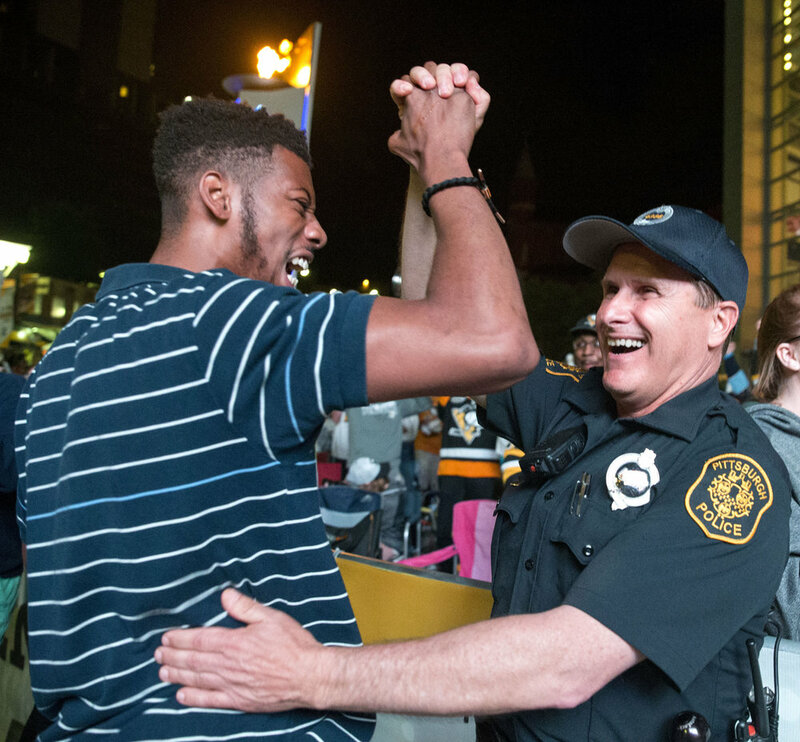 Demtrius Carrington, of Baldwin, celebrates with officer Mike Rosato, of Pittsburgh, after the Penguins scored and lead the game 4-1 against the Predators during Game 2 of the Stanley Cup Finals on Wednesday, May 31, 2017 at PPG Paints Arena. 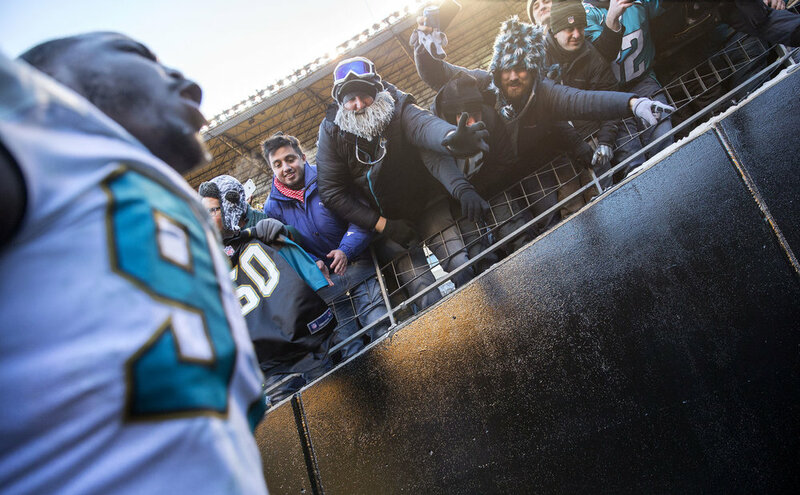 Fans wave at Jaguars Malik Johnson as he screams while entering the tunnel towards the locker room during the divisional playoff game on Sunday, Jan. 14, 2018 at Heinz Field. The Steelers lost to the Jaguars 45-42. 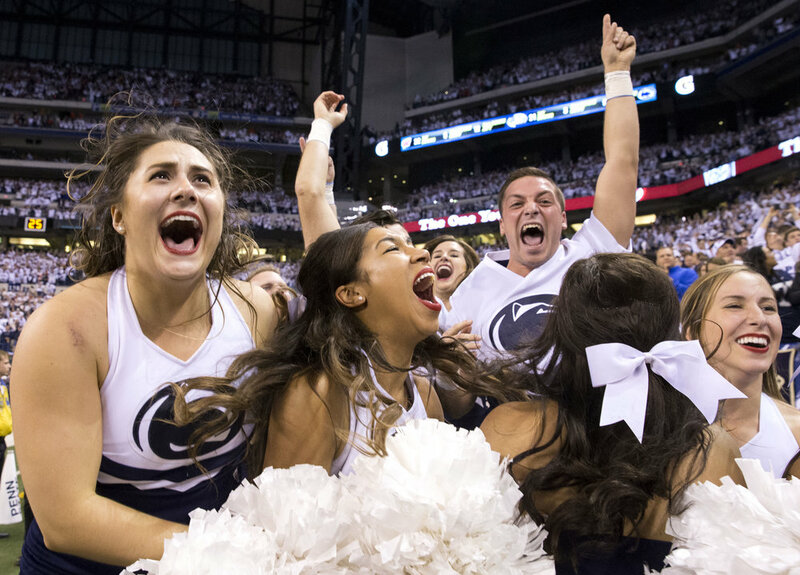 Penn State cheerleaders react after seeing the final minutes in the fourth quarter and realizing that Penn State would be the Big Ten Champions during the Big Ten Football Championship Game between Penn State and Wisconsin at Lucas Oil Stadium in Indianapolis, Ind., on Saturday, Dec. 3, 2016. 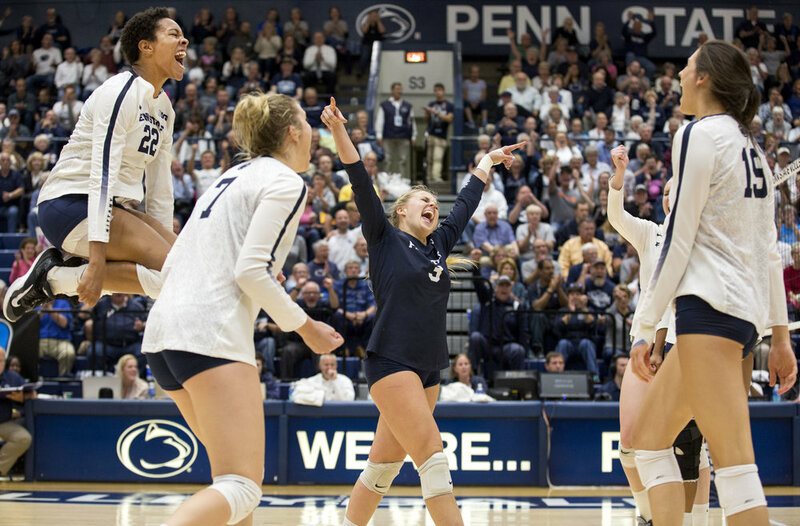 Penn State defeated Wisconsin 38-31. 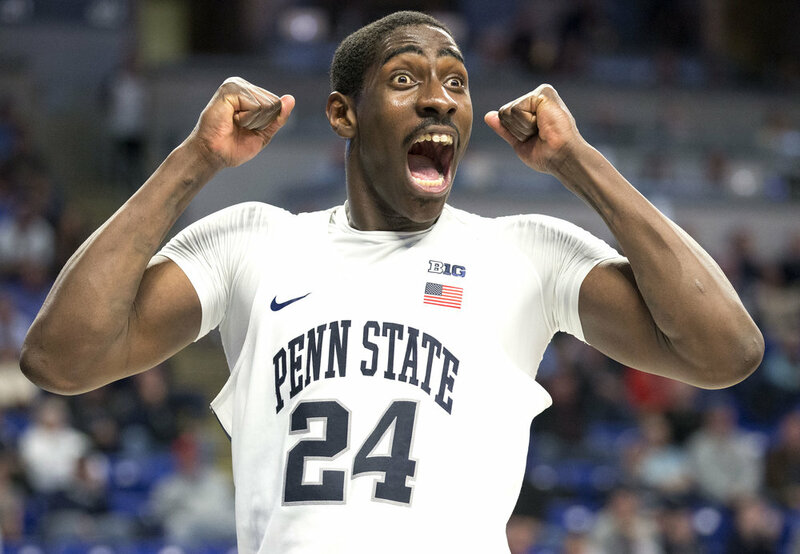 Mike Watkins (24) reacts after a foul call during the men’s basketball game against Maryland at the Bryce Jordan Center on Tuesday, Feb. 7, 2017. Penn State defeated Maryland 70-64. Penn State fans reacts after a touchdown is almost scored during the game against Iowa at Beaver Stadium on Saturday, Nov. 5, 2016. The Nittany Lions defeated Iowa 41-14. Addy and Shola Franklin hug Penn State's Nick Scott after USC defeated the Nittany Lions 52-49 in the Rose Bowl game in Pasadena, CA on Monday, Jan. 2, 2017. Chris Godwin walks off the field towards the locker room with a towel over his head after USC won the Rose Bowl game in Pasadena, CA on Monday, Jan. 2, 2017. USC beat Penn State 52-49. 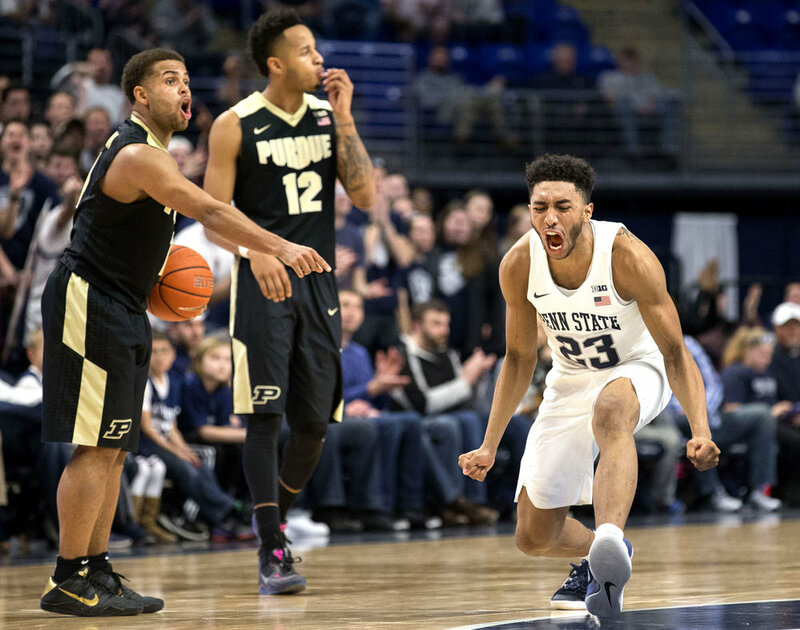 Penn State's Josh Reaves reacts after a call is made in Penn State’s favor during the men’s basketball game against Purdue. After heading to overtime, the Nittany Lions lost 74-70 at the Bryce Jordan Center on Tuesday, Feb. 21, 2017.